Waterproof Phone Dry Bag allows you to capture memories and stay connected on the go without worry. 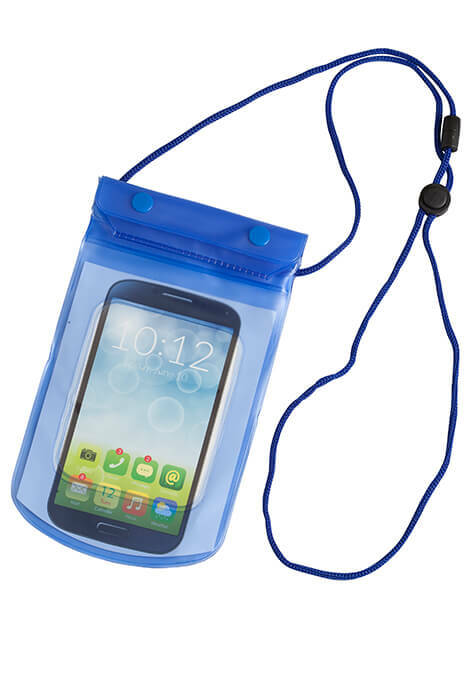 Waterproof phone bag seals tightly to keep water, sand and spills from damaging your smartphone. Floating IPx7-certified dry bag keeps it dry thanks to welded seams and a fold-down double seal with 2 snaps. 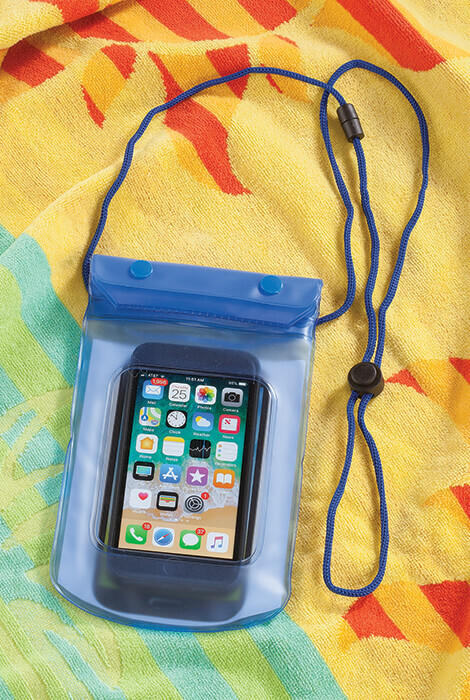 With an adjustable neck cord and clear-view design, the waterproof phone case is perfect for the beach, pool, boating, sporting events and more. 9 1/2" x 5" W size accommodates today's large-screen phones. PVC nylon. Hand wash.